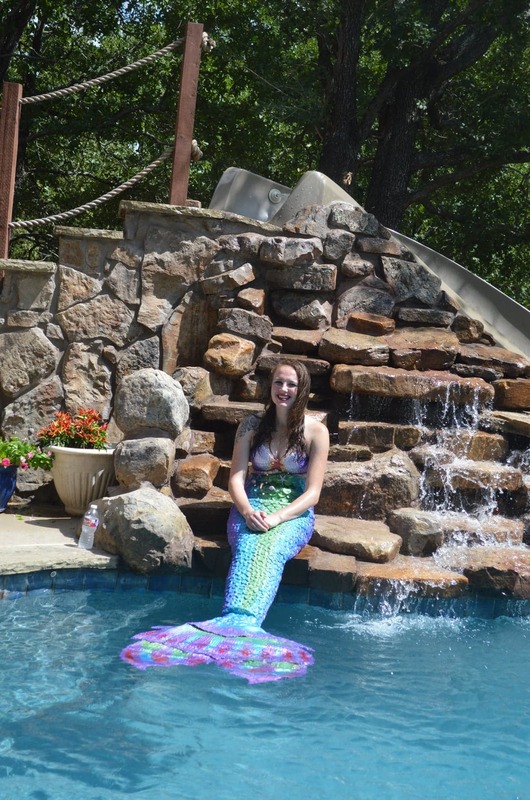 Mermaid Alexandra was very delightful, she was on time and very good with the birthday girl! We were a little behind schedule and she was very patient with us while we got things ready! 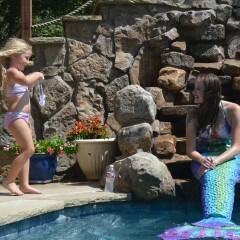 The costume was beautiful and all the kiddos were in awww of the real mermaid that magically appeared in our pool!!! Our princess is still talking about her special birthday guest!! Thanks so much!!! 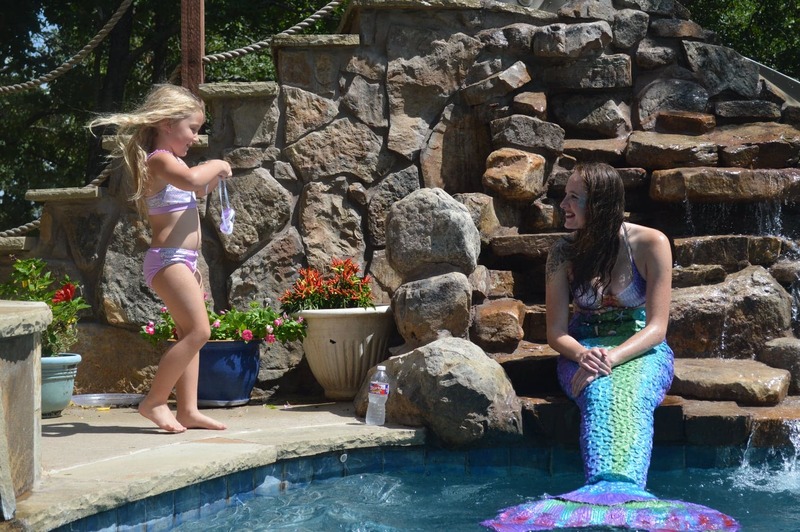 Thank you for your sweet review! I’m so happy I was able to make her birthday special! 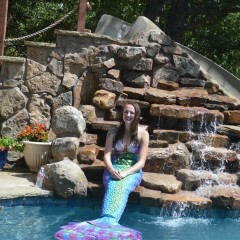 She really did swim like a fish out of water in her own little tail! Thanks again!